Afternoon Loverlies!!! Ok Today I decided we needed to Mow. I have been trying to get out and move around and do things. I also like helping my hubby with chores etc, if I am feeling I can acheive them also. He does so much for me, which I am thankful for. Sadly I didn't know about yellow jackets actually nesting in the ground/grass area. Let's just say I found out the hard way and had the swarm of them attack me. Luckily only three stings (even though they sting more then once in a spot). My hubby only had a few stings himself. UGH!!! Why??? Why are there bugs like these? I cannot deal with them, and therefore I am scared to go outside and Mow/do anything. ARGH!!! I took a benadryl......I am sleepy of course. Hopefully I can forget about this tramatic Hornet event, and attempt outside more often. Might take me a few days though lol. We shall see. Wish me Luck though!!!! 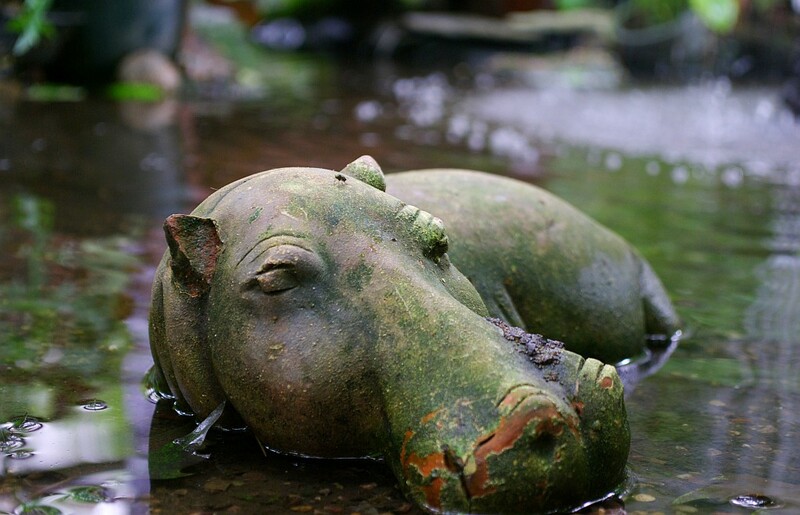 I shall leave you with this cute picture of this sleepy Hippo!!! and Of course one of my fave christmas songs!!! It's adorable.